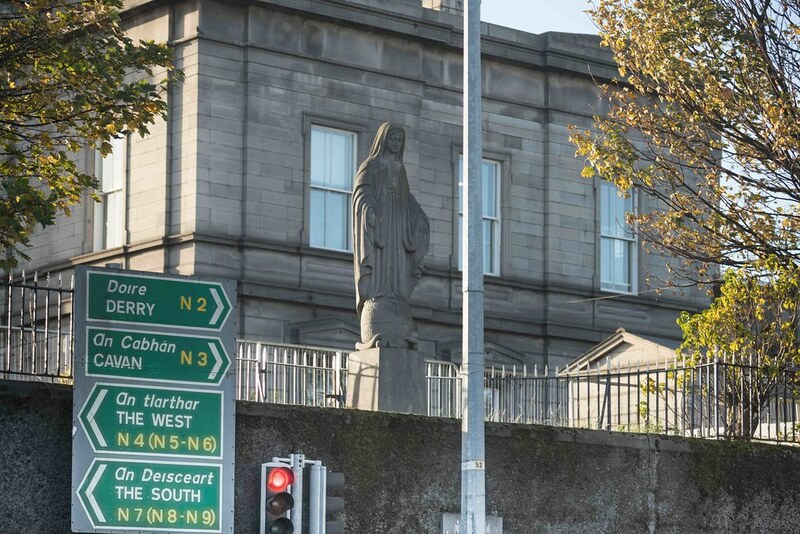 According to a local source this is properly known as the ‘Queen Of Peace’ statue. This one at Broadstone is a bit unusual in that it was erected in 1953 by railway and bus workers of CIE, a state transport company, on company property. I do not know who maintains the installation but it is in good condition. In any photographs that I have seen it appears to be painted white but in my photographs it appears to be unpainted concrete. According to one of my contacts there is another one at Inchicore Railway Works buy I have not seen it.